Modern electronics offer a variety of options for the audio enthusiast who demands only the best for their home stereo system. It might be simple enough for anyone to play a song with their laptop, tablet, or smartphone, but a real audiophile recognizes the difference in quality when using a designated sound system. A great system can play music from a variety of sources, but the turntable is time tested and proven as one of the best music sources. Turntables do, however, require a bit of occasional maintenance and proper setup, including proper use of the headshell which can be either fixed or removable. With older turntables, or record players as they were called at the time, headshells were all removable. Later, and especially during the 1980’s when cassettes were popular, the trend switched to fixed heads. People felt convinced that fixed heads were more stable and provided both rigidity and a better electronics connection to send the sound from the record to the stereo system and out to the room through the speakers. Unfortunately, many manufacturers didn’t change their basic engineering design but rather crimped or glued the traditional removable headshell into place which essentially gave it the disadvantages of both design styles without providing the advantages of either. 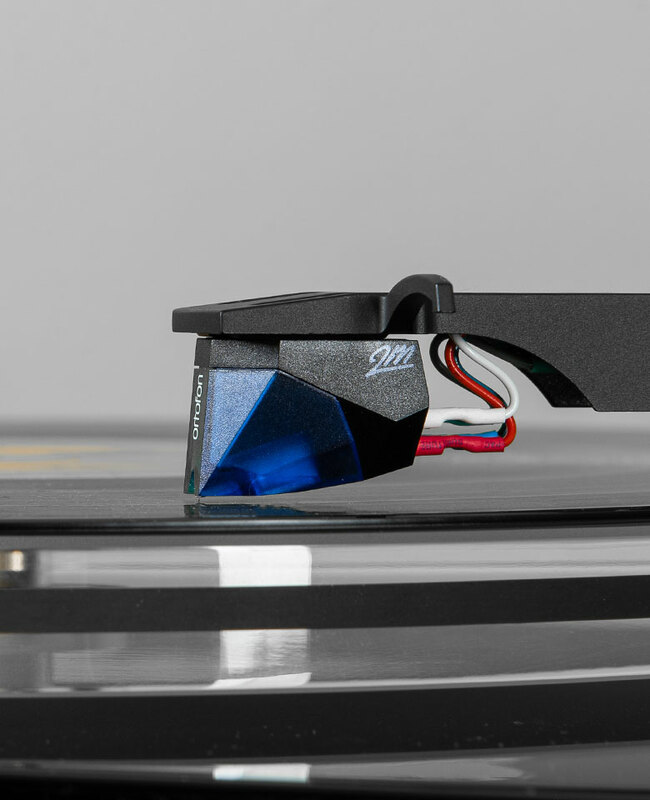 The main advantage of the removable headshell is that it allows for easy maintenance and upgrades for the turntable. Since the cartridge is mounted and aligned to the headshell by screws, but is still removable, you can acquire more headshells and mount different cartridges, easily changing them out for one another. The allows you to quickly change up the sound profile without the hassle of removing and remounting the cartridge in the case of fixed arms. There are also slight adjustments which can be made to the weight and balance of the shell, essentially duplicating what people in the 1970’s did by placing a penny on the headshell to weigh it down and give the needle better contact to the record. Many music enthusiasts claim the disadvantage of the removable headshell is that it isn’t as rigid as a fixed head, which in turn prevents it from being as stable and providing the same quality of music. Such a statement is arguable at best, or misinformed at worst. The fact is, someone who has had a high quality fixed head turntable and is only familiar with generic or poor quality turntables with removable headshells is going to favor the fixed style. Likewise, someone who has experience with a great quality removable headshell is going to have such a preference. Such concepts are based on personal experience rather than factual statistics, as the fact remains that either style can potentially be “better” than the other when comparing different levels of manufacturing quality. The fact is, a great quality turntable is going to work toward building a great home stereo system. There are enough advantages to a removable headshell to convince most audio enthusiasts that it is the better choice. Then again, there are always going to be situations in which such traditional wisdom isn’t the case, or people who use their equipment differently and find what works for other people might not be their personal solution. The final answer comes down to what your needs are to determine which turntable will work best for your situation. Easily switch out your current needle for a frustration free upgrade.